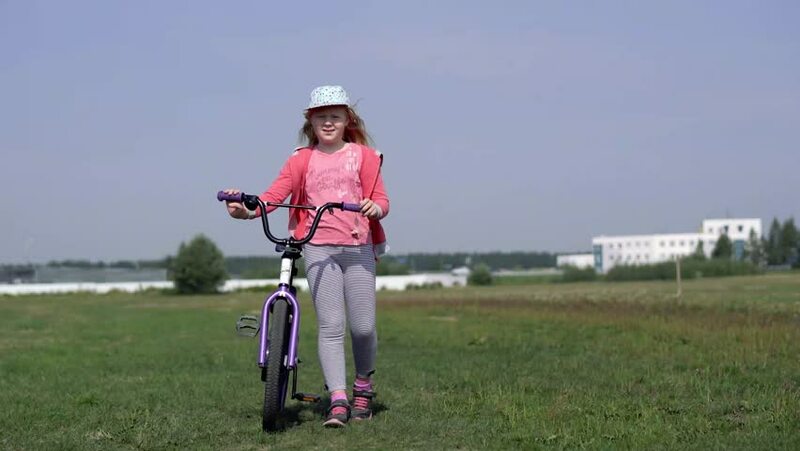 hd00:10Girl on a bicycle with a fitness bracelet. A woman in nature is engaged in fitness with a sports gadget. hd00:26Little girl with a bicycle outdoors. A child with a bicycle is resting in the field. hd00:14Young man riding bicycle up the hill in autumn nature. 4k00:10Young man with bicycle outside in autumn nature.